The Hailsham Pavilion Cinema operates a fully equipped Audio Description (AD) service for most of the films we screen. We have 6 state of the art Headsets which deliver the service from within the auditorium during our film screenings. The Headsets are very comfortable, easy to use and offer a totally non invasive service. Like a narrator telling a story, AD is an additional commentary describing body language, expressions and movements that will vastly improve your movie going experience. This service is available on a first come first served basis and can be pre booked ahead of the screening to ensure a Headset for you. Please call our Box Office on 01323 841414 between 10am & 4pm Monday to Saturday, come in and see us in person or email manager@hailshampavilion.co.uk. Also, please feel free to contact us concerning forthcoming films and indeed which films we are screening with AD. 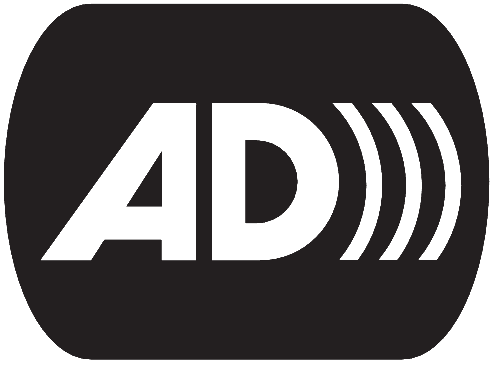 Cinema audio description is a fantastic service for people with sight problems. The normal film soundtrack comes through the cinemas surround sound speakers in the usual way, and a recorded narrator explains what&apos;s happening on screen – in gaps in the dialogue – through personal headphones. It&apos;s similar to listening to a cricket or football match on the radio – having the action described to you – but with added surround sound, which places you in the middle of the action. But most DVD releases are still NOT audio described, so catch a film while you can at the Hailsham Pavilion Cinema! Ask for an AD headset at the box office. Many people have discovered, or rediscovered the joys of cinema going, thanks to AD.